Room 1: 1 queen bed Room 2: 1 King bed Room 3: 2 twin beds 1 twin rollaway bed (this can be moved anywhere in the apartment) Both apartments can be rented to make 6 bedrooms. Look for "6 Bedroom near Fishermans Wharf" 1 parking space is included at Ghirardelli Square Garage 1/2 block from the flat. 2 spaces if you rent both apartments. HEIGHT OF PARKING IS 6 ft 4 inches. Please look at our website (website hidden) for many more reviews. This spacious second floor flat, in a 3 unit Edwardian building, is located in the prestigious Russian Hill/Ghirardelli Square area of San Francisco with a partial/pocket view of the San Francisco Bay and famous Alcatraz Island. 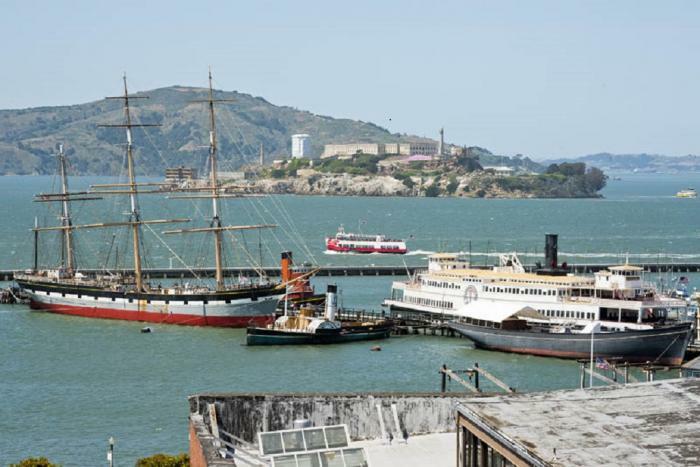 It is a short walk to Fisherman’s Wharf/Pier 39 area. Minutes from downtown San Francisco, near the Powell/Hyde cable car line with a stop nearby. The cable car line runs from Ghirardelli Square through Russian/Nob Hills, Chinatown to Union Square. This flat is in close proximity to Aquatic Park, Lombard Street (the crooked street), The Palace of Fine Arts, Crissy Field, North Beach Area and numerous other sightseeing attractions/activities (Coit Tower, The Embarcadero and Golden Gate Bridge to name a few). This second floor renovated flat offers new granite kitchen counter tops, maple cabinets, stainless steel appliances, hardwood floor, lots of natural light with in unit laundry facilities. Come and enjoy San Francisco in this Italian furnished flat! This rental is located in San Francisco, California 94109 and has 3 upcoming nearby events. 2019 US Open Golf and is located 89.3 miles away from Pebble Beach. 2020 PGA Championship and is located 6.9 miles away from TPC Harding Park.